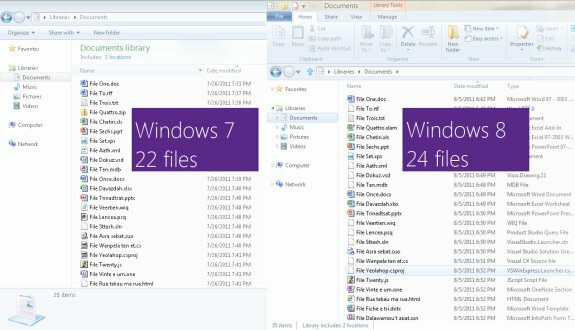 Microsoft blogger Steven Sinofsky reveals Windows 8's Explorer will adopt a ribbon-style interface. We also knew that, similar to when we added the ribbon into Office, there would be concerns about reduced screen real estate. We worked hard to mitigate this issue, and I’ll tell you what we did here a little later in this blog post..